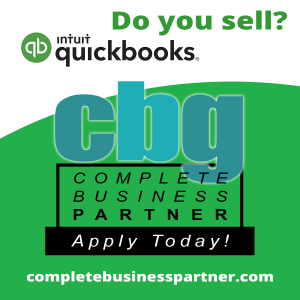 Grow Your QuickBooks Knowledge and Income. Earn Commission. Choose the right Program for you! 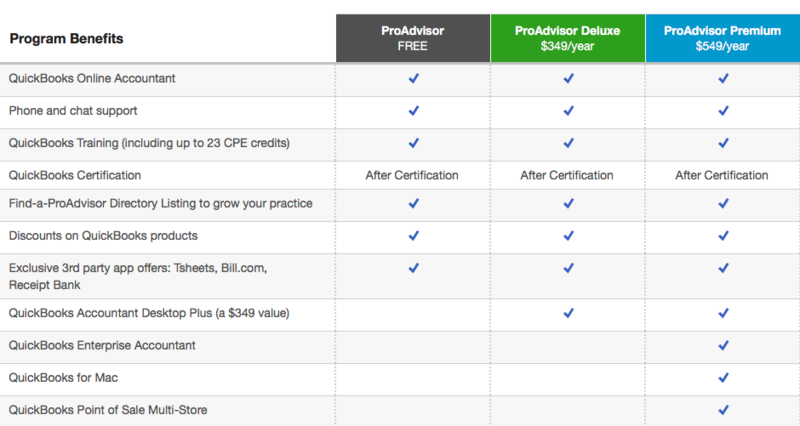 There are three options to be a ProAdvisor: Free, Deluxe and Premium. FREE. If you only support QBO, you can join for free, and sign up directly with the ProAdvisor program, there is no cost and no bonus back. But, hey, it’s free. DELUXE. If you are just starting out, Deluxe is the best option. PREMIUM. If you are ready to grow and expand with more variety and larger clients, we recommend Premium because you will receive training and “not for resale” copies of QuickBooks Enterprise and QuickBooks Point of Sale. We recommend that you join the DELUXE or PREMIUM version because with your PROADVISOR login, you will open up the Accountant Tools inside your CLIENT’S version of QuickBooks. You no longer have to move the file to your version of QuickBooks Premier/QBES Accountant Edition. Imagine batch reclassification, and writing off invoices with ease. These are not for your client to do unguided but you can do with ease. You look like a hero! We believe in the benefits of joining this program because the certifications are rich with information, making you more confident in supporting QuickBooks, once you are certified, you get listed under “find a proadvisor” where you will get listed on the internet. After one or two consulting jobs, it literally pays for itself. The ProAdvisor support is top notch and a valuable resource. As you become certified for several years you will work your way up to top level Diamond Support! Once you have signed up, what’s next? You will simply need to login to your ProAdvisor account, you will receive an email with the credentials. Then go to the certification section and start the video courses right away. They are excellent! Once you complete the training courses you will need to complete the final exam. When passed, you will receive a certification badge. After you are certified make sure your information on your ProAdvisor listing is updated regularly with current information. We also recommend that you request reviews to share your level of expertise. For each ProAdvisor Paid membership we set up, we earn a $25.00 commission. Like all commissions, as a partner you make 50%. We can either pay this to the partner that referred you or if you become a partner, this will be your first commission check. No. This doesn’t affect your ProAdvisor account, I am also a ProAdvisor. Our partner program enhances what you already have as a ProAdvisor. If you have a wholesale QBO billing account, you can continue to use that method, or you can sign up your customer for QBO under us and secure discounted pricing year after year. We have access to best pricing on everything, on some of the products, we are paid commissions which we can share commissions with you that you cannot earn as a ProAdvisor. Learn more about ways to grow your income as a Pro Advisor here.